Catherine "Cady" Coleman has logged more than 4,330 hours in space aboard the Space Shuttle Columbia and the International Space Station (ISS). Of her three NASA missions, the longest was from December 16, 2010 to May 24, 2011, traveling 63,345,600 miles in 2,544 orbits during 159 days in space. How old were you when you started playing the flute and why did you choose it? I started when I was 12. It just appealed to me. They asked at school if we’d like to play an instrument, and it suddenly occurred to me that I wanted to play the flute! The real start to my love of playing happened when a friend taught me that I could play flute along with other musicians, even if I didn’t have the music. That meant that I could play along with anyone that was playing something that I liked. It takes a little courage at first, but I’m always glad when I take the leap! Did you ask NASA if you could take a flute with you into space, or did you just hide it in your hand baggage? Everything in the space business is official! It’s impossible to think about hiding something!! 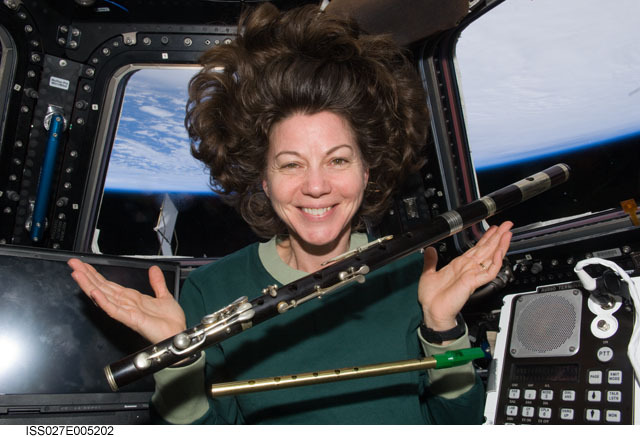 I actually took 4 flutes to space with me – with permission from NASA. I brought one for myself, and one for Ian Anderson, of the band Jethro Tull. Ian was one of the first people to introduce the flute into rock music, and I liked bringing a flute into space for a fellow pioneer. I also brought an old Irish flute (150 years old!) for Matt Molloy and a penny whistle for Paddy Moloney, both of the legendary Irish band called the Chieftains. They are famous for combining all sorts of other music with the Irish music in their shows, and for being very welcoming to other musicians. I wanted to welcome them to the Space Station! 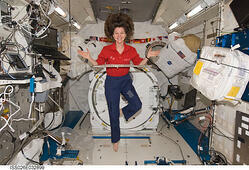 When you were on the space station for six months, what sounds did you miss from Earth the most? 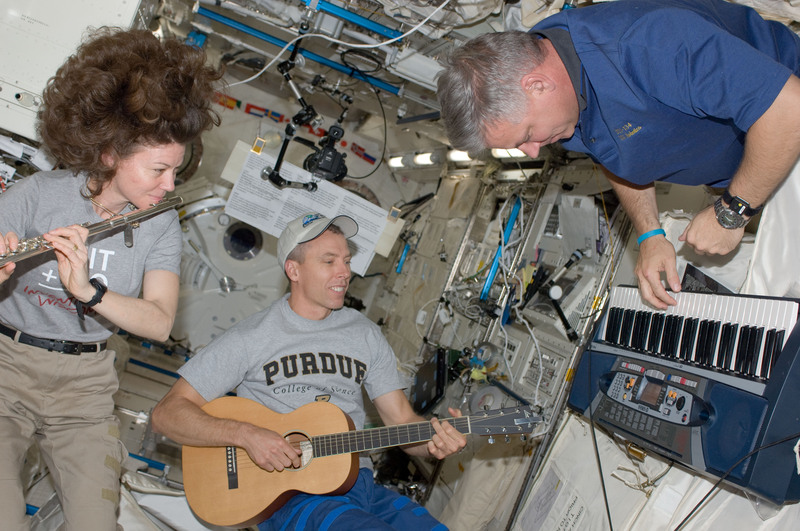 Do you breathe differently in a spacecraft, and if so, how does this affect your playing? Does the flute work differently when there’s no gravity? I don’t think that my breathing was different, but the flute doesn’t ‘rest’ on your fingers, so you are more dependent putting together all the sensations that you do have, to keep it in the right place. I loved being able to twirl it around without having it drop! 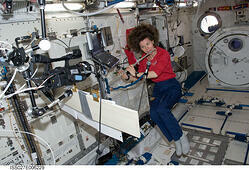 As for playing in space, the sound depends on where you play in the space station, just like down here on earth. 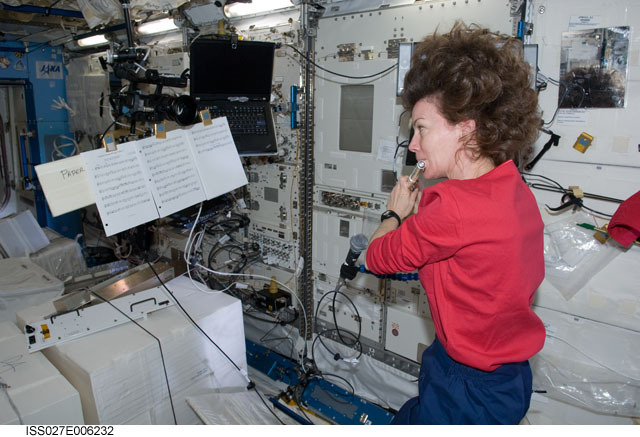 In a place where there is a lot of fabric on the walls, the sound would not be a vibrant as playing in a place with a lot of metal – where the modules of the ISS join together, or in our wonderful cupola, where the sound bounces off the windows in all directions, and you can see our home on the earth for thousands of miles! What’s been your most amazing musical experience so far? It has been interesting to me to play on stage with The Chieftains and with Jethro Tull. I could be honest and say ‘terrifying’ – because I certainly get nervous for things like that. But I use the same lessons that helped me do hard things in space: if you practiced as much as you could – and done your best to be ready, then you can only do your best. Plus, I try to remember how much I love to play music, and to play with other people, especially when they are friends. There is a certain magic to people playing together – something alive – fragile and strong at the same time. I love it! What are your five favourite pieces of music?